We will be posting our Leadership Team goals for the upcoming Service Year in the fall. 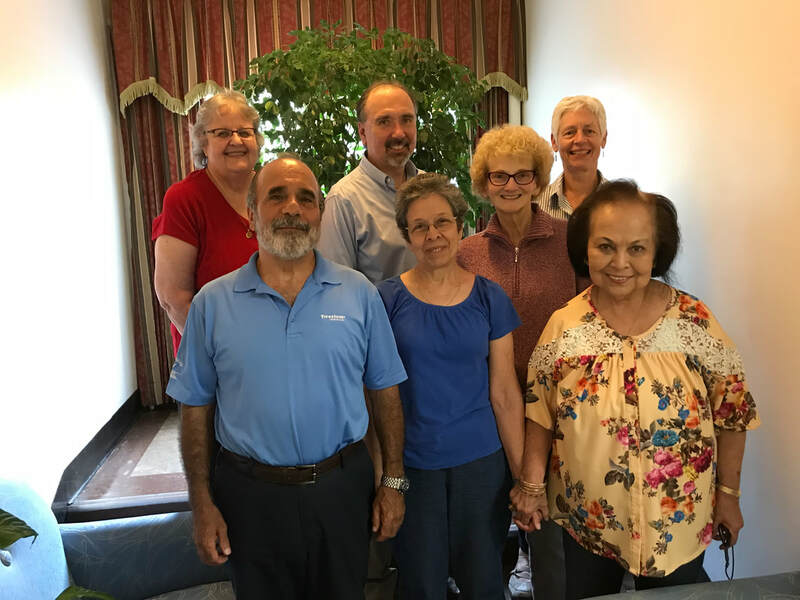 Prayer Group Facilitator, Commissioned Presenter of Centering Prayer and Lectio Divina, Contemplative Outreach of Boston Leadership team member, Spiritual Director, Stephen Minister, Extraordinary Minister of Holy Communion, Coordinator of North Central CT ITMS. Current Contemplative Outreach of CT Leadership Team. Front (L to R) Frank Pendola, Jean Ficaro, Nancy Stimac, Grace Padilla. Picture taken at Holy Family Passionist Retreat Center in West Hartford, CT, September 2018.